An Echo of the Prophets. A Sermon for Sabbath Hol Hammoed Succoth, 5609. O Thou, whose blessing covers the fields with plenty, and crowns the trees with the swelling fruit, have mercy on thy flock, the people whom Thou hast chosen, and fill their granaries with thy bounty; and let thy plentifulness attend all their labours in the city and the field, and command them success when they go in and when they go out; so that they may not need the aid of flesh of blood, but be fed solely from thy hand: that their food may come in abundance before they need it, and their garments be ready for them in season before they require them. Thus will they be relieved from the slavery of dependence on man, and their mind will be free from the interruption of anxious care for their daily bread, and they will have leisure to devote themselves to thy service, that it may be well with them and their families always, inasmuch as Thou blessest those who fear Thee, and leavest not those unprotected who seek thy aid in the sincerity of their heart. Yea, be <<384>>with us whilst we sojourn on thy earth, and leave us not without opportunities to earn thy favour in the world to come, in the life without end or shadow, where the righteous live for ever, and bask unceasingly in the holy light of thy countenance, which is the desire of the angels and the holy ones whom Thou hast created. Amen. “And I will exalt and sanctify myself, and I will be manifested in the sight of many nations; and they shall know that I am the Lord.”—Ezek. 38:23. It is here declared that the Lord intends displaying his power and holiness before the eyes of the masses of mankind who compose the nations, that they may thereby learn to discover that He is indeed the Supreme Ruler, the sole Creator and Preserver of all things, whereas no other power exists besides Him, or can maintain itself in opposition to his decrees. This is the will of God; this is the view of the future which is revealed to us: and though the time may be far distant, it is well defined in the dark recesses of coming events, which are laid open only to Him who sees alike the past, present, and future; whose existence is not bounded by space and time, and who therefore has all possible existence spread out before Him, and nothing escapes his all-seeing eye. But though we cannot see the end of things, we can at least labour to promote its arrival by our feeble human aid. It is true we are mortal—our very breath is drawn in pain and sorrow; we are ignorant of the consequences of the very steps which we take. Nevertheless, we have a mission, an appointment in the world, which we must and can pursue in accordance with the great plan of the universal Father for the promotion of his king<<385>>dom and the establishing of the knowledge of himself, which we are told by his prophets it is his purpose to diffuse among all mankind. To suppose that we are here merely for ourselves, that we can, if we would, stand still in the path of life without regarding the masses around us,—would presuppose that a man could be independent, isolated in life, without sympathy, without influence. But the most cursory observation contradicts this: everybody receives and conveys impressions, and it is questionable whether even an idiot is without some influence on others. We know not how ideas are excited; we know as little how they are conveyed abroad to others, nor where the starting point is whence new thoughts are carried into the channels formerly overrunning with those of a different or opposite nature; consequently we cannot determine who and what the best instruments are whom the Lord may select to effect his purposes. The Psalmist says: “The stone which the builders despised hath become the chief corner-stone;” and in the same strain may we allege that the humblest individual, only if he be blest by his Sender, can effect that good which the most powerful intellect will fail of attaining. Let us, therefore, be ever so little in our eyes or those of the world, we may still say, without being guilty of arrogance or undue pride, that we have been selected for a wise purpose to be God’s witnesses; and, what is more, we may maintain that our labours will succeed, and that though now the fewest of nations, as we have always been since our first selection, the time will come when we shall become “praised, famed, and glorious, as also a holy people to the Lord our God, as He hath spoken;” since the Almighty’s will never fails of working out its own purposes, let the fulfilment be delayed even so long that men in their blind ignorance say that the time will never arrive; because we know that his are not eyes of flesh, and that He does not work as men work; for all power is his, and time and eternity are before Him alike. We have now a twofold proposition before us: God wills a universal sanctification of all mankind, and that we shall be his instruments. The first idea is one of vast and far-reaching importance, nothing less than the whole human race being included; the second merely regards the instruments: and who can say of them with justice to the great Master—“Thy labourers are not <<386>>worthy of thy grace?” Truly may we confess the latter mortifying fact to our shame. We have received a high destiny,—still we have valued more the gewgaws and glitter of the world than the favour of Heaven and the promotion of the objects of our mission! Nevertheless, does not this impeach the wisdom of our God, nor say that his intentions will ultimately prove fruitless. For as He said through his prophet, his word will not return again from the earth without prospering in what He has sent it, as little as the rain and snow fail in fructifying the earth. The question then recurs, What are we to do as God’s missionaries—how act as individual Israelites? Even as the Lord has commanded us in his law; and in doing so we fulfill in the best manner our own calling as members of the divine household, and as messengers of good tidings to all the earth. As individuals we are children of salvation, of a beatitude unspeakably glorious, interminably enduring. To obtain this, we must be active in doing good, courageous in subduing our passions, attentive in learning what the All-father has taught us; and only when we have to the utmost learned our duty, struggled with our baser nature, and wrought well in the task of beneficence and holiness, can we say that we have well-grounded hopes that our God will approve our service, and accept us in his presence, and place us within his sanctuary as those who have fulfilled his holy behests; who have walked humbly because He is high; who have mastered their passions because He had taught them the right way; and who have laboured for the good of mankind because He who loves all his creatures had so commanded them to be merciful to all those to whom He is merciful. In this individual striving for holiness because our God is holy, there is no selfish egotism, no hating of those who are less righteous; because even they who are far below us in the scale of merit, are nevertheless, not less than we, creatures of the same Creator, amenable to Him, not to us, for the result of their acts, unless by a special legislation He has transferred to us the right of sitting in judgment on their transgressions, or the good of society demands that they should be punished as criminals whose deeds may contravene the general welfare. This latter condition can, however, not affect those acts which may be termed deeds of piety, in which man acts only in relation to God, without thereby <<387>>doing anything which affects mankind at large. In these, therefore, no man has a right to interfere as avenger of the Most High, unless special permission has been delegated, and then it must be solely because it is commanded, not for man to say that he assumes the right to judge the conscience of his fellow-man. You will therefore observe in our whole law no opinion surrendered to the power of the judges; acts, open deeds only, as being matters of evidence to the eyes and ears, could be investigated by the tribunals, and they could only then condemn when the guilt was so clearly established that the accused himself could not do otherwise than admit the justice of the verdict, without being called upon in the first place to criminate himself by the words of his own mouth. It is accordingly our duty to be as righteous as we can; we must daily endeavour to be active in our persons to do acts of holiness and benevolence, and to improve our mind with such knowledge and contemplations as will bring God present to our soul, by which the fear of Him will become deeper and deeper impressed on our spirit, by which means again we shall learn daily to follow his guidance, because we then shall know that all which He asks of us is for our own happiness, that it may be well with us all the days. Now as the holy law gives us no other duties to perform as a nation than those which are prescribed to the individual, one thing follows, that as God’s missionaries we have to pursue the same course as we do in character of candidates for salvation. If as the latter we are to endeavour to acquire the utmost attainable perfection, and to love our fellows with a sincere affection, serve them without hopes of reward, and not molest them though they differ from us in conduct and opinion, except with the sole limitation already mentioned:—it follows accordingly that in our position as God’s witnesses, we must be holy in our persons, consistent in our conduct, but at the same time active in serving all whom our acts can at all benefit, and be only courageous in defending the truth when it is assailed, without ever daring to hate mankind, or what is still worse, force them by persecutions and penal laws to adopt our mode of thinking, or to act as we do in obedience to the law which we have received. It may therefore deeply grieve you to see our holy Sabbath universally violated by men; yet you have no right to compel them to rest; <<388>>the day was given as a sign between the Creator and Israel, that we might thereby acknowledge that we believe in Him as the Originator of the world. Whereas now this command has not been given to the nations of the earth, what is it to us that they know not the rest of the Lord? Let us bless his providence for having pointed out to us the way of light, and let us not hate nor coerce those who have not been so instructed in the duties which were first given to our fathers. Where was the force which the Almighty employed in teaching us the law? Were there not sixty times ten thousand freemen, who accepted voluntarily to serve their eternal Benefactor? Whence then the right to hate and persecute those who differ from us? But no; the greater the ignorance of the world in matters of holiness, the greater should be our charity towards all. It is only by mercy that God acquired us for his portion; it is only therefore by the same means that hearts can be won by his servants. But whether this is to be effected by our simple presence on earth, or by our ultimately standing forward as missionaries in the glorious work of the regeneration of the world, does not so clearly appear. But from the example of the prophets, with the sole exception of Jonah, we should say that they never acted as actual missionaries to the gentiles; and in his instance, too, it was not to convert the people of Nineveh to the faith of Israel, but to warn them against the violence and injustice which had been committed there, acts against which the simple moral law first given to Noah already energetically bore a testimony of condemnation. Still the mission of Jonah proves not only that <<389>>the nations of the East in those times knew of the Lord and confided in his prophets,—which was also exemplified in the case when Ben Hadad sent his general to consult the prophet Elisha, who was then at Damascus,—but that the Lord himself has not relinquished caring for the welfare of the nations of the earth, because He has selected our people as his peculiar treasure, and that their salvation is surely within his intentions, and that in his own time they will be all gathered to his fold. But it is also certain that we have not received any special command to preach the law and the testimony to others than Israelites, whilst we were especially exhorted not alone to be faithful each to his trust, but to teach our children that they might learn to fear the Lord. We may therefore deduct from all this that, till a special call shall be made on us, we are to abstain from seeking to convert others to our faith—not to reject those who voluntarily join themselves to the house of Jacob, for ours is a universal house of prayer, and all who wish are welcome to enter hither and adore the Father of mercy. But it would appear only that under the present circumstances of the world we are not to go abroad to seek to make converts to our religion, but to await quietly and hopefully the time of the universal adoption of the yoke of Heaven. This, however, does not say that our ideas will not spread because of our inactivity; for the reverse we find to be the case, if we will but scan the records of history. The Bible was first ours in the vernacular tongue of our people; and now see how it has been multiplied in the languages of almost every race, partly by the direct action of the fugitives of Jacob, who, in order that the law might not be forgotten by those born in captivity, and to whom the language of Heber is unknown, translated the words into those more familiar to the scattered remnants in the various new homes they had acquired;—partly, however, by the efforts of those who, having borrowed their light from us, and having been refreshed in a minor degree by the fountain through which we exist, now endeavour to scatter the seed yet farther, and to dig yet more channels, that the believers in the laws may be multiplied, and the holy stream be carried yet wider, and wider, and wider over the earth. It is true, they do not do this from any love to our own religion; they have the inventions of men whom God has not sent, on which they rely for support, and <<390>>which they wish to propagate along with the word of life. 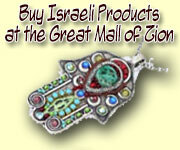 It is also true that they love not Israel, though they acknowledge that we are the first-born of the Lord in the faith. It is also true that they have been the most inveterate foes of Jacob’s children, that they have slaughtered thousands on thousands of innocents, whose sole crime was that they loved the Lord with all their soul, and were ready to die sooner than associate in his worship another god who does not exist. All this is true; but at the same time, despite of themselves, they diffuse the very healing balsam through which the ultimate triumph of truth will be accomplished; they carry the word of God over deserts and oceans, and with it the antidote to the very errors they are intent on propagating with so much zeal, with such unwearied perseverance. I do not exaggerate in the least the blessed effects of the Bible; let the versions thereof be ever so defective, and let the distributors thereof be actuated by ever so selfish motives, and hatred of Israel: they do propagate the truth despite of themselves, and with their errors which they love, and for the furtherance of which they labour so devotedly, they furnish the world that wholesome food which will ultimately invigorate fallen man, so that he will stand regenerated and new-born in the presence of his Maker. Look back a few centuries, and take up a book of chronicles written by the greatest admirer of papal power, the impiously called vicegerent of a divine being on earth; and then compare the state of knowledge on the subject of the Godhead then and now prevailing; at the time when the precious Scriptures were slowly transcribed by hand, and found only in the recondite Latin or Greek, and accessible only to the recluses or the paid minister of the church of Rome, and now when by the process of typography they are made the property in a hundred dialects of the poorest peasant, and not rarely of the slave even, whilst millions of transcripts to supply the increasing demand are thrown off by the magic power of the vapour of water, but lately made subservient to the will of man in the progress of wonderful invention: and you must confess that the change has been rapid, almost miraculous; because the lowest superstition, the most degrading subservience, have yielded to a progress of enlightenment, and an extension of human rights then believed to be beyond attainment, and merely looked upon <<391>>as the dreams of enthusiastic philanthropists. This has been the achievement of a three centuries’ possession of the Scriptures, of a book preserved by us with jealous care, watched over with more than a maternal fondness, so that no error or interpolation might creep in to dim the bright surface of the divine mirror, in which we see reflected the past and the future, as they are made known by our God; it has stridden in victory over prostrate thrones, it has conquered opinions and doctrines deeply implanted in the hearts of man; and will you say that its power is exhausted, that its last triumph has been achieved? And then again, I pray you, look at our then and present situation. Then we were compelled to hide our knowledge; but few of the bearers of power deigned to inquire of us what the Lord had taught; our philosophy, our religious sciences were despised; but at present the mist is gradually rising; men begin (but only begin) to appreciate our rights; they commence to discover that there is beauty in Israel; they come to ask of us the way of life; they say that salvation is of the Jews. And is all this nothing? Is this the end, the consummation of all that is to come? They, who believe and profess this, have no knowledge of history, and have no confidence in the word of God. Man never stands still; he is progressing or retrograding; and unless all that has come to pass is merely to vanish and leave the world again to darkness, and oppression, and tyranny, and universal slavery, it must progress to a greater perfection, to a liberation of the mind by the one standard which the Bible promises—the knowledge of the one God, on that day when He shall be acknowledged as One, and the world will adore the Eternal One alone, and He be called One in the mouth of all flesh, as He is now invoked in the assemblies of Israel. Now errors in politics and religion sow discord and dissensions among mankind; injustice and ignorance as yet inflict their evils on the helpless, and even those who bear rule on earth. But are we to say that no farther change is yet to be wrought? That now all has been accomplished of which man is capable? That the sighs of the oppressed are never to cease? And as regards the Scriptures, they emphatically declare that a new state of things shall be brought about in the first place for Israelites as the possessors of God’s word, <<392>>and then for the gentiles, who are to be brought under the same banner which has so long waved over us. Now in conclusion we come to the point of Jewish teachers of righteousness to the gentiles. This too the prophet Isaiah foresaw in his second chapter, when he says: “For from Zion shall go forth, the law, and the word of the Lord from Jerusalem.” Consequently it is the intention of the Lord that through our means a direct instruction is to come to pass among the gentiles. But we are nevertheless left in doubt whether they are solely to come as there indicated, to the house of God to be taught, or whether we are to travel over the earth to convert it, in the first instance. Whatever be the ultimate destiny of our race, however, is a mere matter of speculation as far as this point is concerned; should it be time for us to be summoned to the great work, a spirit will be infused into us, irresistible, though strongly resisted, to urge us on to the consummation of our destiny; for the spirit that once spoke through Moses is yet potent and undiminished in vigour. In the mean time it is evidently our duty to sanctify the name of the Lord, to exhibit by a consistent religious conduct the beauties of holiness as imposed on us through obedience to the law; in this way will the world see the fructifying effects of an enlightened religion, free from fanatical zeal, free from mysticism; and men will be drawn aside from error, and strive to obtain wisdom from the word that dwells with us; and thus will we pave the way for God’s kingdom, and preach by our silent example eloquent lessons of godliness and truth, and we shall bring near the hoped for days of the Messiah, when the Lord alone will reign in all hearts.—Amen. Tishry 14th, 5609, October 12th, 1848.